This is my entry to the Marathon Stars Blogathon, sponsored by the blog doyennes of The Wonderful World of Cinema and In The Good Old Days of Classic Hollywood. The love story of the ages. 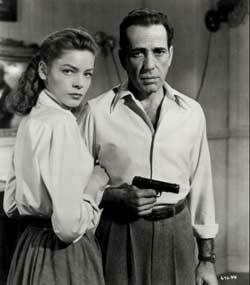 Humphrey Bogart met Lauren Bacall on the set of To Have and Have Not. Although the chemistry was not immediate, it did grab hold and held on for dear life. Bogie was married at the time to Mayo Methot, but they had a tumultuous marriage, in part due to Mayo's alcoholism. The two lovebirds carried on their relationship in secret for a while, but it is hard to keep a secret for long, especially in Hollywood. Not long after filming wrapped on To Have and to Have Not, Bogie moved out of his house and asked Mayo for a divorce, and on May 21, 1945, Bogie maried Bacall in a small ceremony. It was the "beginning of a beautiful friendship" (to steal a line from a different movie). The two only made four movies together, but their relationship off screen comes in fairly loudly on the screen. You can see it chiefly in their eyes when they look at each other. There's a story here. I'm not quite sure what the story is. According to a featurette, Howard Hawks bet Ernest Hemingway he could make a film out of even the worst of Hemingway's stories, and this is the one he picked. It makes for an interesting war time romance, but what was done here was done better with Casablanca. The most interesting part of this movie is watching the ongoing relationship between Bogie and Bacall blossom from the romance story that develops between "Slim" (Bacall) and "Steve"(Bogart). In essence, the story is that Harry Morgan (his real name. Why Marie chooses to call him "Steve" is never really explained) is a fishing guide for hire on the island of Martinique during WWII. This takes place just after the surrender of France to the Germans and the Vichy government is in charge. Morgan and his pal Eddie (Walter Brennan) are approached by resistance fighters to ferry cargo (people) but he refuses. Due to some other intrigue which removes his current cash-on-hand, however, he decides to go ahead and do it, for the money. The Vichy government, headed by a very smarmy fat Capitain Renaud (Dan Seymour) is suspicious, and thinks that Morgan and his cronies have hidden the resistance fighters (which they have) but the Vichy is kept in the dark through subterfuge. 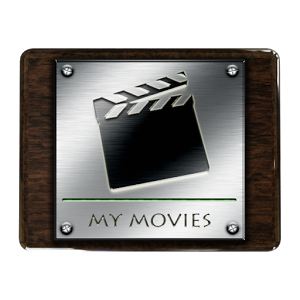 The movie itself is worth a view, but as you will see, my opinion is it is not one of the better ones, for pure plot. 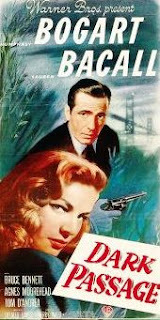 In the film version of the classic Raymond Chandler Phillip Marlowe novel, Bogie plays Marlowe and Bacall plays one of the two daughters of his client, General Sternwood. Marlowe is investigating some dirty secrets in which the General's other daughter, Carmen, is involved. There are so many twists and turns in this movie it's hard to keep track of who killed who and why. Carmen (played by Martha Vickers) is a vapid, flirty girl who seems to try to come on to every man who enters her range of vision. Bacall, as Carmen's sister, Vivian is a bit more in tune with the real world, but she is as spoiled as Carmen. She is, however, a much stronger female character and knows what she wants, and, with the exception of Marlowe, how to get it. 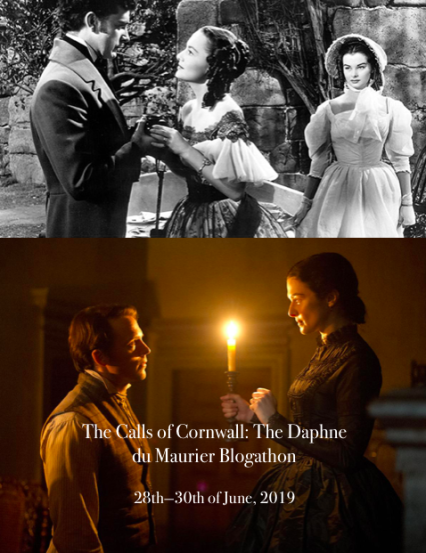 She is initially cold to Marlowe, but warms up to him over the course of the film. Everybody but Vivian seems to have had a hand in the murder of one or another of the characters in this movie. My suggestion is to watch both the original version and then the theatrically released version, both of which were available on the DVD copy I watched. 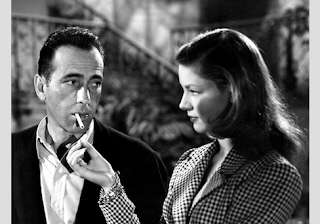 The chemistry between Bogie and Bacall was emphasized more in the theatrical release at the behest of Jack Warner and Bacall's manager. So you can expect less of Bacall in the first version, but the story line is a lot clearer in it. This is the strangest of the bunch. 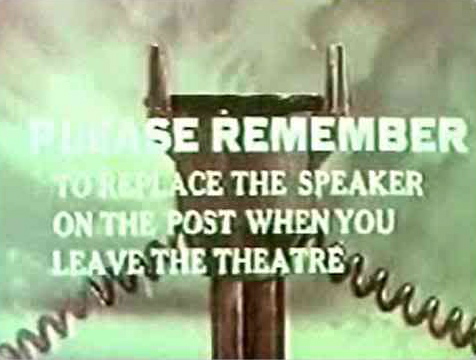 For one thing, the first part of the movie is only shown as if from Bogie's eyes. This first person camera viewpoint had been explored earlier by Robert Montgomery with Lady in the Lake. 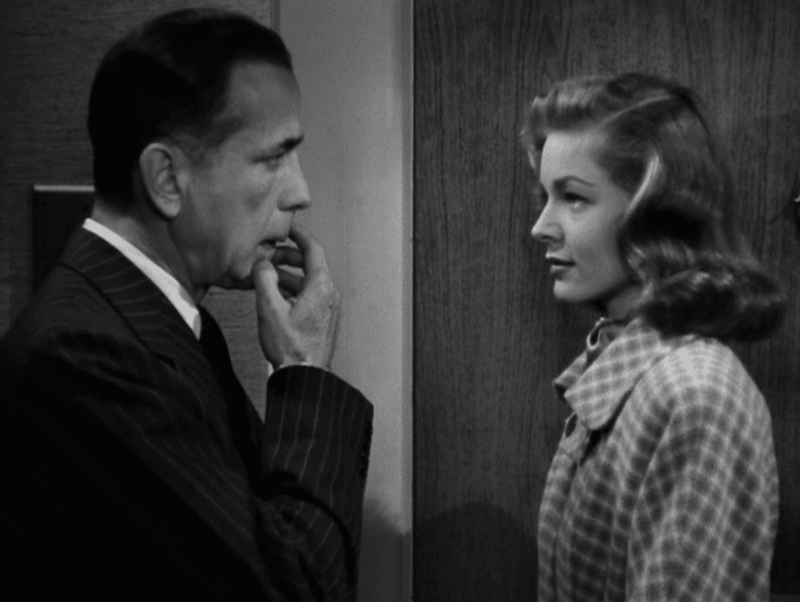 It is somewhat jarring if you've never experienced it before, and in this case, the chemistry between Bogie and Bacall is there, but only through his eyes looking at her. Bogie plays an escaped convict, Vincent, who was convicted of having murdered his wife. While on the lam, he is conveniently picked up by Irene (Bacall) who just "happened" to be in the area. There is some hints that her intuition told her to be in that area at that time, since she could not have known of his escape attempt in advance. There are many coincidences that crop up in this movie, too many to be taken credibly, if you ask me. For instance, one of Irene's friends is Madge (Agnes Moorehead) who was instrumental in the trial that sent Vincent to prison in the first place. Then, later, a guy who picks up Vincent after his prison escape, just happens to be a former convict from the same prison who tries to blackmail Vincent, and in the same boat, Irene, whom he seems to know has come into a lot of money. 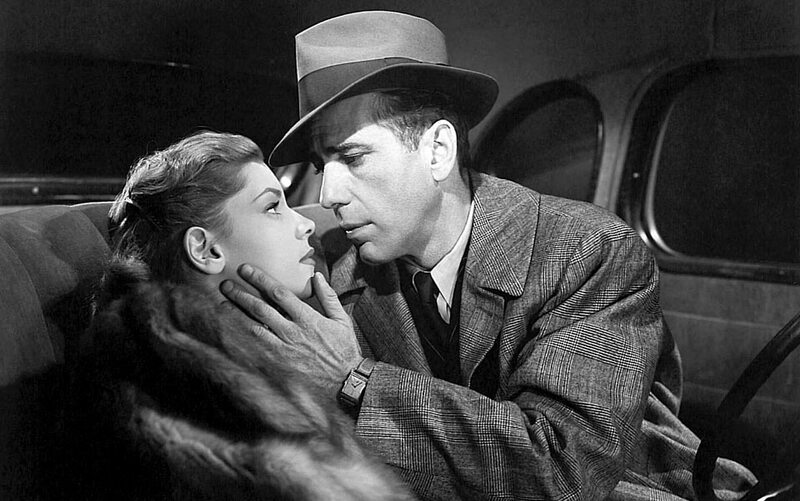 This is a serviceable film noir, but of the four would have to rank last on my list of Bogie/Bacall pairings. 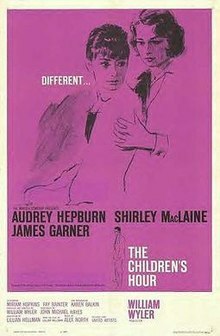 It's not quite as good as To Have and to Have Not, and a far cry from either Key Largo or The Big Sleep. 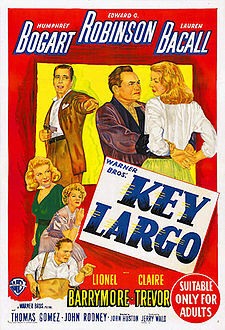 Key Largo was adapted from a stage play, and brought to the screen by John Huston. 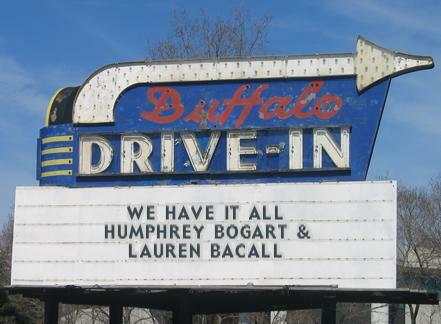 This is by far the best of the four Bogie/Bacall films. In it Bogie is Frank McCloud, a veteran of the war and former combat mate of Nora Temple's (Bacall) husband. He has stopped off at the hotel owned by the mate's father (played by Lionel Barrymore), to see the land and visit with the family. Also at the hotel are a bunch of unfriendly guys who, as it turns out, are gang members with Johnny Rocco (Edward G. Robinson) as their leader. 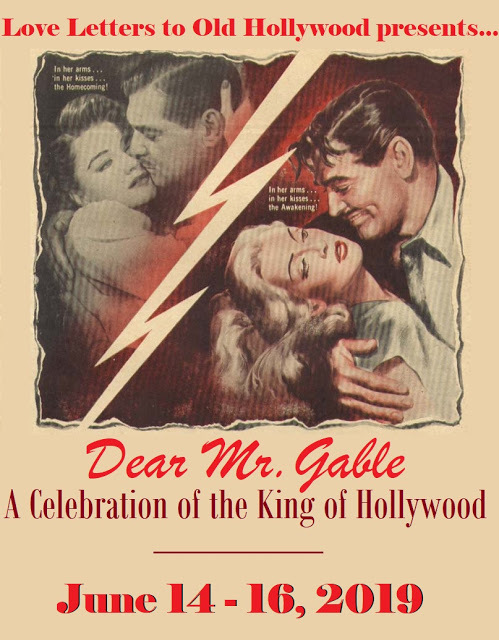 Claire Trevor (who won an Oscar for her performance in this film) is the alcoholic girlfriend of Rocco. The gang is holed up waiting for the right time to sail to Cuba, planning to take over the rackets in the near future in the U.S.
Plans are thwarted when a hurricane blows in. Claustrophobic to say the least is this part of the movie where everyone is getting on everyone else's nerves. Robinson is his usual great self as the gangster headmaster, and the chemistry between Bogie and Bacall virtually sizzles as the movie gets going. 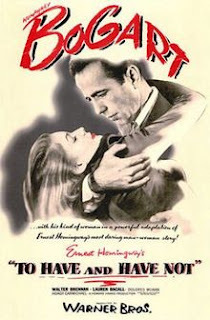 Hang on to the very end to watch how Bogie tries to get the upper hand on Rocco and his four henchmen. Well that about does it for this time. Hope you enjoyed the show. 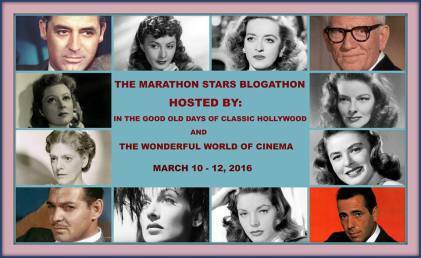 Excellent overview of the Bogart and Bacall canon! My personal favorite is The Big Sleep; I love how the plot twists and turns and how Bacall is so hard as nails for one so young and beautiful. A real ice queen. And Bogart is the ultimate Philip Marlowe. I've seen only the first two, and it was really the chemistry of Bogie and Bacall that stood with me. I'll check the other two when I can! In To Have and Have Not, though, my favorite is Walter Brennan's character! Were you ever bitten by a dead bee? Walter Brennan adds dimension to everything he is ever in. Thanks for the good words. I love Bogie and Bacall - must say my favourite is To Have and Have Not, and I'm less keen on The Big Sleep as just I can't get my head round the story (the original version isn't available in the UK, so I've only seen the puzzling theatrical cut!) Enjoyed your posting, which makes me want to watch them all again! The Big Sleep is a good one. It makes more sense if you've read the book though.